Different Radio will once again be live at the Grassroots Festival this Friday morning beginning at 9:00 during Open Tunings with Scott Regan. Scott will interview artists in this year's festival, and will include some live performances from the festival site. 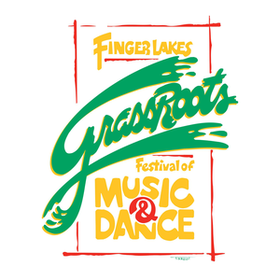 This year's GrassRoots Festival begins Thursday, July 19th and runs through the weekend, with many favorites and special guests, including host Donna the Buffalo, Patty Griffin, Toots & the Maytals, The Wood Brothers, Valerie June, Jim Lauderdale, Keith Frank & Soileau Zydeco, The Campbell Brothers, Driftwood, Giant Panda Guerilla Dub Squad, Sim Redmond Band, and Big Mean Sound Machine will perform, just to name a few. Here is the complete lineup. Join us Friday morning beginning at 9:00 for Open Tunings, live from GrassRoots 2018 on Different Radio.